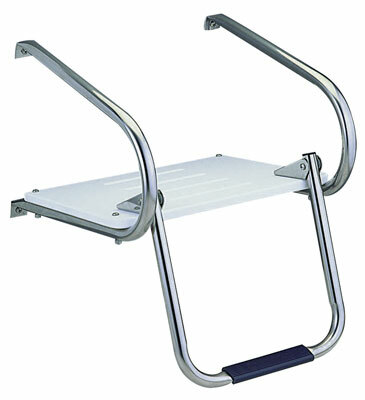 Made of high density white polyethylene and stainless steel. Includes one wrap around rail and one underside support rail. Durable and easy to clean. 18" wide x 15.5" deep x .75" thick. Rail height above and below platform, 12.5". For use on outboard transoms.